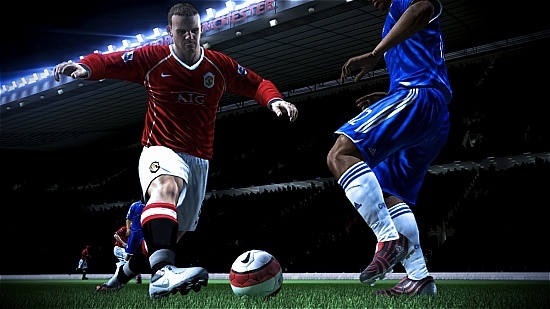 Fifa 08 is the latest installment of Electronic Arts' series of football video games. Developed by EA Canada, it is published by Electronic Arts worldwide under the EA Sports label. It was released on all popular gaming formats in September 2007 in Europe and Australasia, and in October 2007 in North America. The Xbox 360 and Playstation 3 versions of the game feature an improved game engine with superior graphics and different commentators, and are dubbed "next-generation" by Electronic Arts. On all other platforms - including the PC - the game utilises an older engine. The Nintendo DS version features fewer teams, stadiums, game modes and kits due to the limitations of the machine's storage medium. 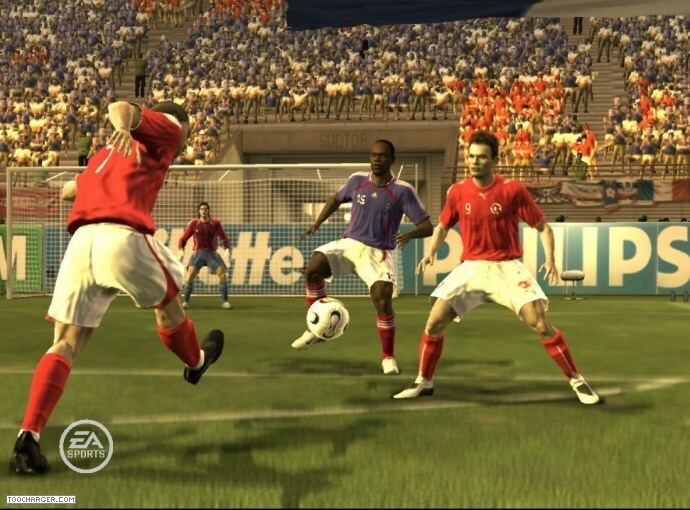 The FIFA 08 next-generation gameplay engine, built to maximise the power of PLAYSTATION®3, delivers animations and ball control so responsive that, according to its creators, "you feel like you are actually on the pitch". 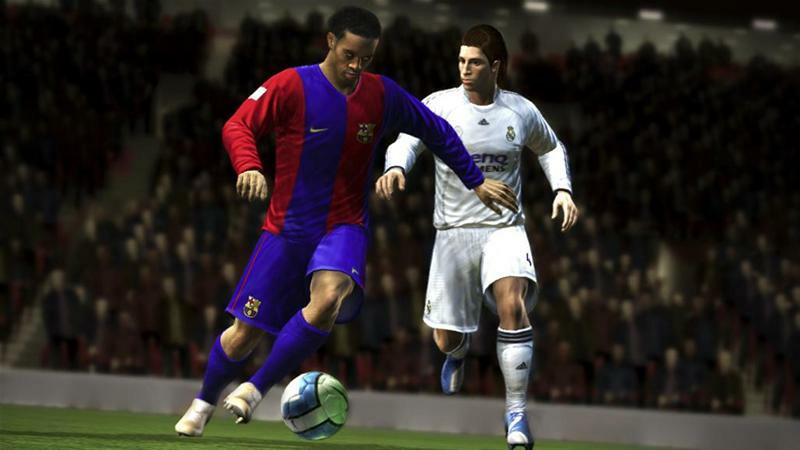 Footballers in FIFA 08 now benefit from Artificial Intelligence (AI) so advanced that it features a 35-point decision engine which enables players to process multiple decisions and reactions in real-time. The AI's dynamic 'Threat Map' system captures the excitement and realism of football, leaving the players aware of their surroundings and ensuring that they react authentically to threats and opportunities to make intelligent football decisions. Manual Controls — Dictate the play with new manual controls for through-passing and crossing. Control the goalkeeper in one-on-one situations to deny the striker yourself. Use the right-stick to quickly switch to the exact player you want to control when defending. Be A Pro: Co-op Season — Take on the role of a professional footballer, create your own player and test yourself in one position for an entire season. Master positioning, improve your attributes and develop into an elite player. Co-operate with up to three friends fixed to their player on the same team, but compete with those same friends on individual challenges. All performances are tracked through detailed statistics to determine who really is a pro. Custom Formations — Design your own unique strategy to create the perfect formation and tactics. Set each player’s exact position in the formation, and assign specific attacking and defensive runs to unlock the opposition. Enhanced AI — New defensive and positioning logic requires greater tactical expertise to break down the opposition New AI ensures players are in the right place at the right time. Player and team traits differentiate the stars. Manager Mode Improvements – New features include pre-season friendlies to test your team before a campaign, new training options to hone your squad of players and dynamic board expectations that change depending on your successes … or failures. Online Football Clubs (PlayStation 2) — Form your own group of like-minded soccer fans to take on all challengers online and create a Football Club. Gain status among the online community by helping your Football Club climb the rankings. Win more points based on the importance of the match, like playing Interactive Leagues or challenging other Football Clubs to a grudge-match tournament. Share Replays (PC) – Now you can save and show-off your best games or just the highlights! It is easy to capture a game or key moments and export as a video file to share with your friends and foes. Brag about match-winning plays and goals or even capture the entire ninety minutes to relive your favorite games.